In 2018, things are really happening in Lakewood Ranch, an ever growing suburban section of Manatee County and one of the best places to live in Florida. In late February, two quality home builders filed for permits to develop more than 3,200 new homes in this master-planned community. 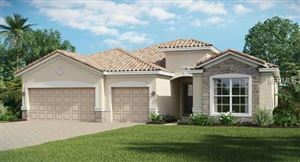 One of those builders happens to be Lennar, developer of Savanna at Lakewood Ranch. Located to the northwest of Lorraine Road and State Road 64, Savanna is a large development of 475 single-family homes built by Meritage Homes and Lennar. The real estate in Savanna is attractive and innovative; this is one of the neighborhoods where Lennar has built its NextGen line of floor plans, large homes designed with large families in mind. Lennar describes its NextGen line as homes that offer a private and separate home inside for elderly parents, extended relatives or adult children attending college. The 3,800 square foot Liberation model, for example, features up to six bedrooms, three full bathrooms, and two separate garages; these NextGen floor plans have been popular among families who enjoy staying close as they grow together. As of 2018, pricing at Savanna starts at $342K for a two-bedroom home with two full bathrooms and 2,074 square feet of interior space. A NextGen model with five bedrooms and 3.5 bathrooms built on 3,550 square feet of living space can be negotiated under $440K. 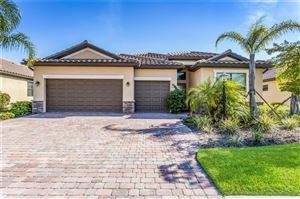 In 2017, one of the models developed by Meritage was awarded best floor plan in the annual Parade of Homes for Lakewood Ranch. The homes at Savanna have lots of extras for modern families; some are rated 100 percent energy-efficient while others are equipped with the Nexia smart home automation system. 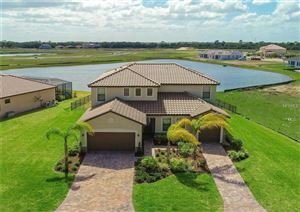 Savanna is a gated community surrounded by lakes and nature preserves. Neighborhood amenities include a swimming pool, a Mediterranean-style clubhouse with fitness center, playground, green areas, a pavilion and a dog park. This part of Lakewood Ranch is expanding; a medical center is planned to open near the Premier Sports Campus, and a section will be zoned for commercial use so that residents can enjoy a shopping district close to their homes. 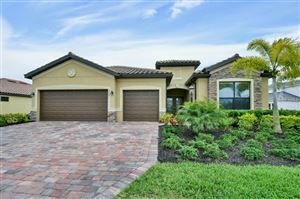 See all Savanna at Lakewood Ranch Homes for Sale.